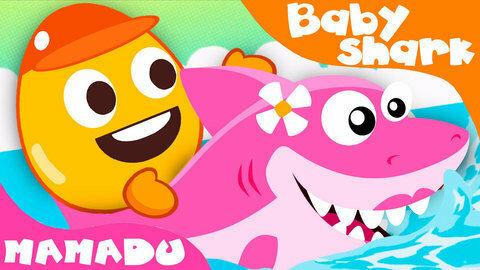 Enjoy baby rhymes with this 1-minute “Baby Shark” funny song music video. See brother happily dancing on the beach until the shark family joins him. Grandma Shark has prepared a delicious fish so watch till the end to see who gets eat it. More funny music videos are available for you to watch at SeeZisKids.com.